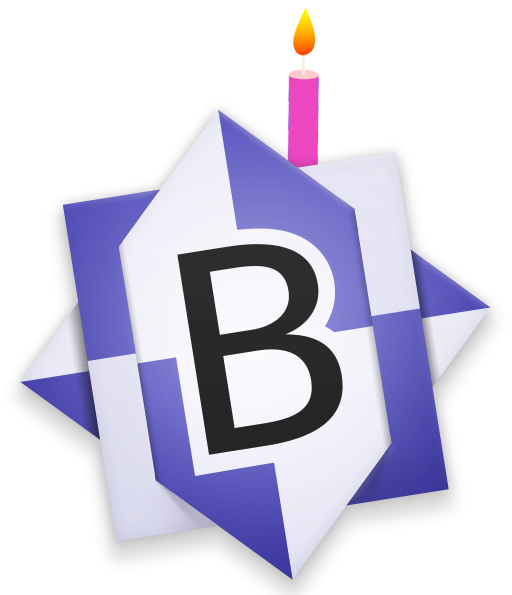 BBEdit turned 25 last week! Belated Happy Birthday! I am not shy that BBEdit is my favorite text editor. I don’t remember when exactly I got my first copy, but it must have soon after it came out. I have been using it one form or another since then. Recently, someone asked me why I prefer BBEdit. I was caught a bit off-guard but gave my honest answer: habit. However, this answer doesn’t really do BBEdit much justice. Now I realize it is a habit formed over two-and-a-half decades. When BBEdit came out I was a student and used it for LaTeX documents, shell scripts and Fortran code on my PowerBook 160. Back then Mac text files preferred a different line break character (carriage return: \r) than Unix (line feed: \n) and Windows (line feed and carriage return: \r\n). BBEdit was able to read, convert and write all of them. BBEdit transitioned to PowerPC. It was one of the first applications to have a native Mac OS X version (the Mac/Unix text file compatibility was really valuable then). BBEdit made the Intel transition and is ready for the 64-bit only future of macOS. All along the way, BBEdit has always stayed true to the Mac environment, however the Mac changed. When you expect native ‘Mac-like’ behavior that’s how BBEdit behaves. It supports AppleScript, but also has powerful command line tools. 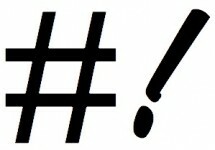 It will parse a binary property list to XML and it will ask for authorization to read and edit root-owned files. But, BBEdit also has always been a great way to talk with things outside of the Mac. When I have to edit files over ssh I will grudgingly use nano or (in desperate situations) vi, but then I remember that BBEdit has direct editing over sftp. BBEdit has supported three version control systems I have used over the years and (so far) survived two. I have built web pages in BBEdit, trawled through truly gigantic log files, written code in secveral languages, and documents in LaTeX, Markdown and various other file formats. Some of the files were even just plain text. If you have read anything I have written on this website, or my books, it very likely started out as a draft in BBEdit. Right now I am writing a book with the experimental Markua language on LeanPub. In BBEdit, of course. The advantage of text files is that they can be opened everywhere. Trying out a new text editor has virtually no barrier. Over the years I have used and tried out uncountable different editors and many of them had some features I liked. Right now I have Atom and Sublime Text on my Mac, as well. Those are great tools with some wonderful features. However, they are not native to the Mac and that often adds friction to the workflow. Now that I have thought about it, habit is only part of the answer. It is not just habit, it is a trust they have built and earned over more than two decades. When Apple does their next transition, I can expect BBEdit to be right there with me, still not sucking. As long as there is still a need to edit text files on Macintosh/Mac OS/Mac OS X/OS X/macOS or whatever it is going to be called, I am looking forward to the next 25 years of working with BBEdit.